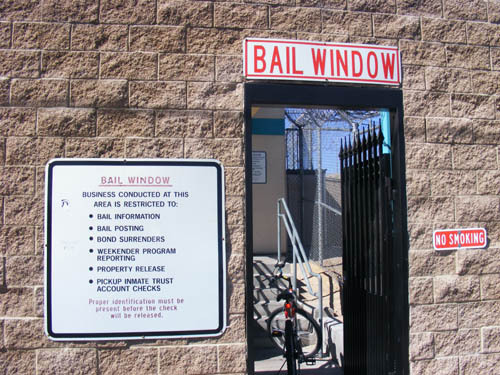 The City of Las Vegas Detention Center is one of several facilities located in the metro area that makes available inmate information for public use. There are numerous avenues to select from when searching for information regarding an inmate at the City of Las Vegas Detention Center. 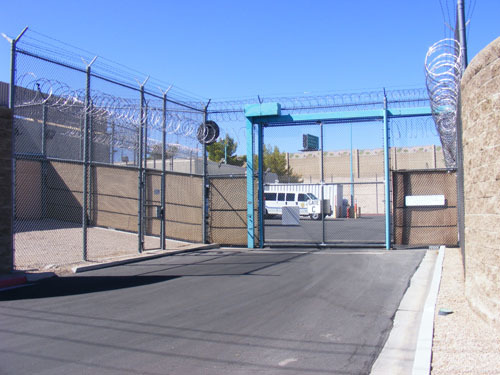 The City of Las Vegas Detention Center is located in the heart of downtown Las Vegas on Stewart Avenue in the 3300 block. There are several pieces of pertinent information for the public’s and law enforcement agencies use to be able to not only interact with an inmate, but to also find out such important information as the City of Las Vegas Detention Center’s processing and bail policies, inmate visitation schedules and requirements for would be visitors into the facility, legal visits for court representation, the sending and receipt of mail from outsiders to the desired inmate, placing money on the books for a desired prisoner, property release policies, custody release policies, and general guidelines for the facility. eBAIL, the first name in bonding, provides a state of the art database that can be accessed any time of the day or night, holidays, and weekends to find out the latest, most up to date information about a specific inmate. Prisoners of the detention center must be fully processed and booked prior to their info appearing in the database. Using such search options as the prisoner’s first name, last name, and case number provides the status of court proceedings, charges filed against the prisoner, or pending charges against the individual, bail or bond amounts granted by the courts if the prisoner is eligible for temporary release, the next scheduled date the prisoner is appearing in court, and if applicable, a scheduled release date for the prisoner. The search tool is simple and easy to use. Typing in as few as two or three letters of the first or last name, or a portion of the case number, will return multiple results to review. The more letters or numbers that can be provided, the more narrow a return the search will provide. Not every bail bondsman is the same. When someone is looking for immediate assistance to help get a friend or loved one released from jail, eBAIL leads the way in fast, friendly and professional service. Located in close proximity to the jail, eBAIL is available 24 hours a day, 7 days a week in person, by phone, or online to provide the best in bond and bail services. eBAIL holds the highest rating from the Better Business Bureau for operating in the bail bond industry.